So the custom symbol that is unique to the company has been made using the Symbol Builder. The correct naming convention has been used and saved using the ZA to ZZ as the Autodesk document ” TS1056225″ recommends, but how does a family table get added to the database? Follow this procedure and find out! As mentioned earlier the correct naming convention needs to be used when saving the symbols. 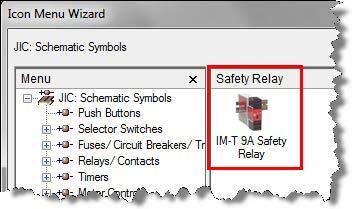 For example, HZS1_Safety Relay is the block name. 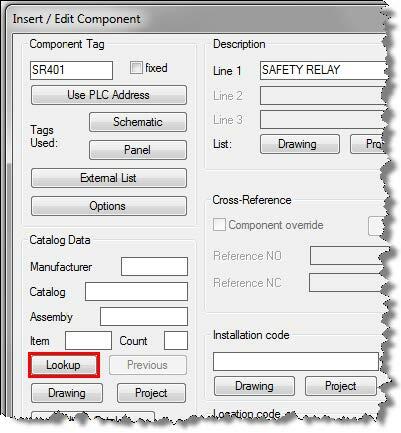 H = horizontal; ZS = custom safety relays family code; 1 = parent; and _Safety Relay = user defined. 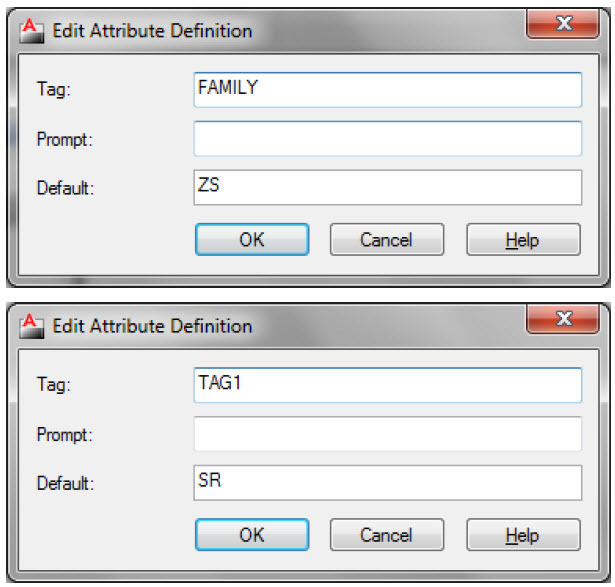 Note: Make sure the Family attribute has the ZS as the default value. 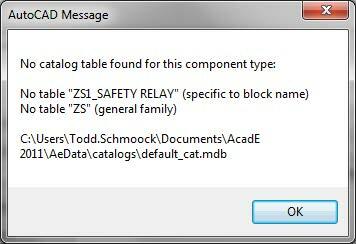 By making the family attribute ZS it will allow the creation of a table in the default_catalog.mdb which will be detailed later in this document. The TAG1 can carry any value. 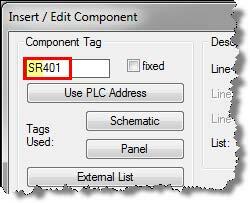 In this example SR was set as the default value for the TAG1 attribute. Now that the symbol has been completed it would be best to add a link to it using the Icon Menu Wizard. This document does not go into the details of how to complete this, but after clicking on the tool a dialog opens and after deciding which menu file to modify click OK and add the information as desired. Now that the first record is in the default_cat.mdb file others can be added more easily. This can be done by using the tools identified in this document, or by editing the default_cat.mdb directly. 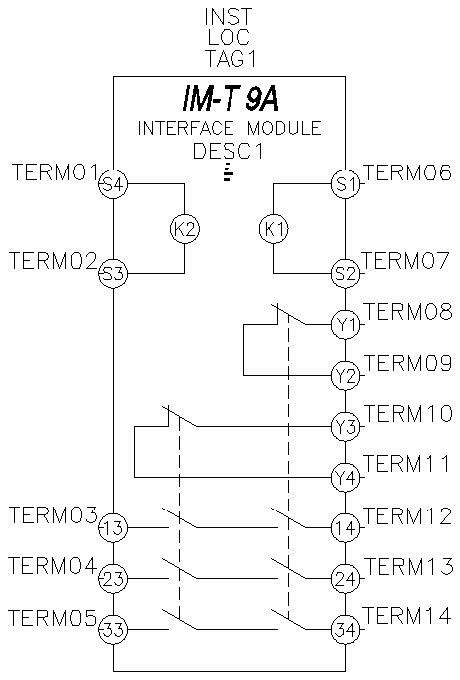 It’s best to at least get the first record in using the procedure identified here since it will set up the table and the columns needed. I would like to congratulate the persons behind this wonderful blog. You’ve done a good job. Thanks so much! I am glad you found some value.